How do I choose a lender? 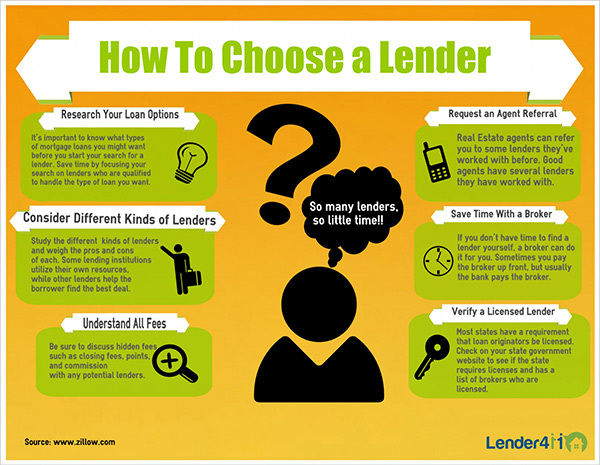 This infographic will guide you through the process of selecting a lender that's right for you. Begin with researching your loan options and kinds of lender, while educating yourself on the fees associated. You may want to request an agent referral or save time with a broker.